Does Insurance Cover Neck Lifts? Botox injections to address problems with fullness or "bands"
Other neck lifting techniques involve lasers, ultrasound and radiofrequency devices, intense pulsed light, and fillers. You must be in good health to get a neck lift. You'll consult with your surgeon in advance. For that meeting, have your goals in mind for what you want to change. 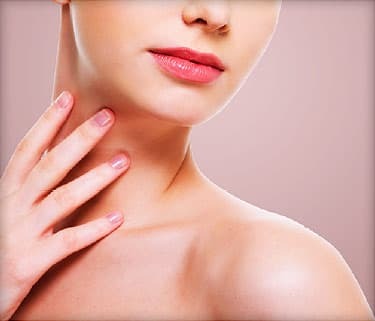 Turkey Wattle: Your surgeon may recommend surgery, which involves making cuts under your chin or behind your ears or both to access a neck muscle called the platysma. Sometimes, that may even mean removing some muscle. Newer procedures may let your surgeon make smaller cuts and use an endoscope (a small camera attached to a thin tube) to complete your surgery. Make sure you ask your surgeon for all your options during your consultation. You and your surgeon will discuss what type of anesthesia to use, depending on your level of comfort. If you want to remain asleep during the procedure, you should request general anesthesia. Otherwise, your surgeon can use local anesthesia with sedation. It's up to you, however, to make that choice. Instead of surgery or in addition to it, Botox injections can relax parts of the platysma that are responsible for the "band" appearance or look of fullness. Those injections can be done in 15 minutes on an outpatient basis, meaning no overnight stay. Liposuction : During liposuction, your surgeon will make a small cut below your chin and remove excess fat. If you are also getting other procedures, it is very common for cosmetic surgeons to begin with liposuction. You will be able to determine this with your doctor during your consultation. If this is the only procedure you're getting, you should plan on the operation lasting up to an hour. Your incisions will be stitched and bandaged. It's important to make sure you understand and follow your doctor's instructions on properly caring for the stitches and bandage. Too Much Skin on Your Neck: Your surgeon will trim parts of the skin and lift it into place, securing it with tissue glue or stitches. This takes about two to four hours, depending on the complexity of your procedure. Again, your type of anesthesia will depend on your own personal comfort level. Your surgeon will fit you with a compression bandage that you will have to wear for at least one week unless instructed otherwise. Your surgeon will tell you to avoid certain medications and supplements before your surgery to reduce the risk of excessive bleeding. Tell your doctor about any drug allergies you have. Although it's very rare, you could have an allergic reaction to the anesthesia. If you smoke, you will need to quit for at least four weeks before the surgery and four weeks after. Don't just plan to cut down. Not smoking for this time period is necessary for proper healing. You should plan to take at least one week off from work. Ask your doctor exactly how much time off you'll need. On the day of surgery, wear loose, comfortable clothing. Wear a button-down blouse or shirt that you don't have to pull over your head and neck. As with any surgery, infection is possible. Take your temperature. At the first sign of a fever, contact your doctor. If you have unusual discharge, such as pus, from the surgery site, contact your doctor immediately. Most health insurance companies do not cover cosmetic surgery. Be clear on what, if anything, your insurance will cover before the surgery. That way, you'll know what to expect. If your procedures will correct a medical condition, tell your health insurer before the surgery. Your surgeon can write a letter detailing your case. With certain insurance plans, cosmetic or plastic surgery can affect future coverage. It can also affect your premiums. Make sure you ask your health insurer about that before you get the procedure, so you know what to expect. Cleveland Clinic: "Treatment & Procedures: Neck Lift." Are We Pushing the Antiaging Envelope?